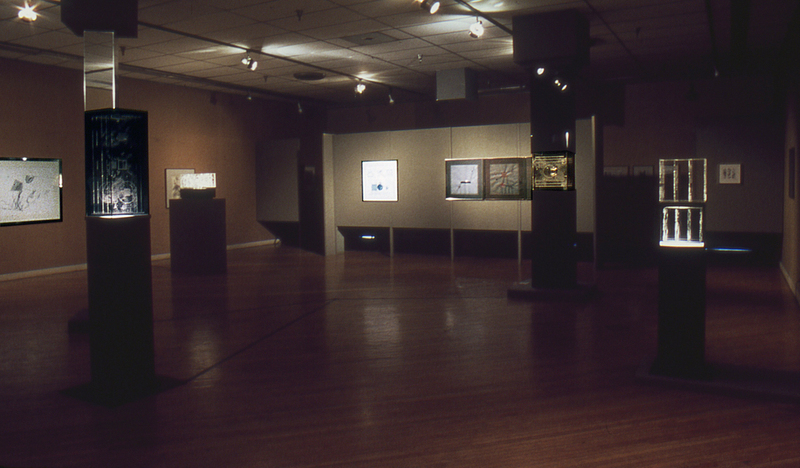 List of Exhibitions, Projects: 1964-Present All works on this web site are copyrighted. 1979 Moved Studio to Heath, Ma. 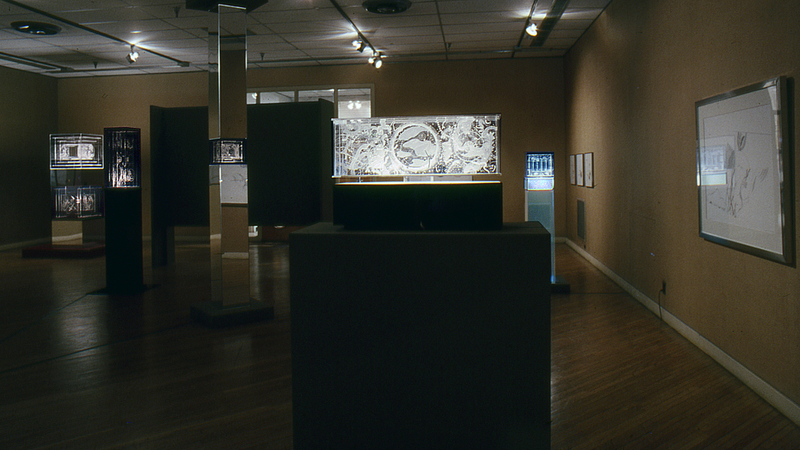 1985-86Series of large acrylic works on paper, 92" x 52" "Billy's Window"
1985-86 Plexiglas Sculpture-Assemblage, "Conversations with a Shade"(1975) and large drawing, 42"x90" "Fugue" (1986) acquired by Jacksonville Art Museum by gift, Dr. M. Anwar Kamal. 1988 Series of 24 large pastels of Eucharis Lilies. Scroll paintings of Night-blooming Cereus. 1990 Learned to fly an airplane, soloed, July 11, 1990, North Adams, MA. 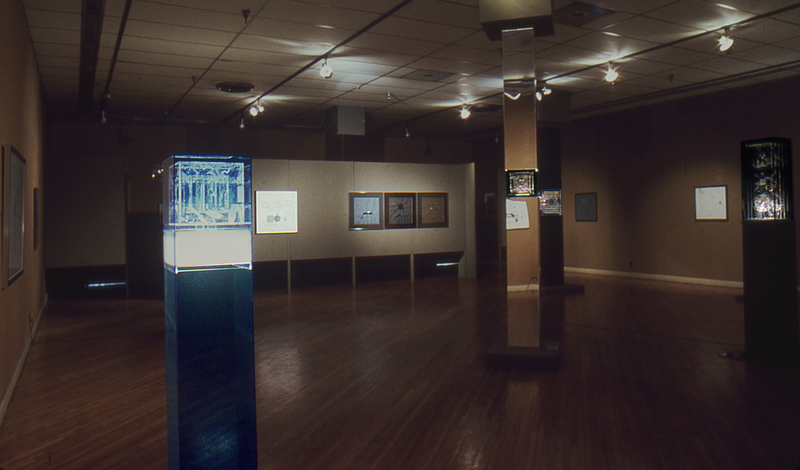 1993 Moved studio to Jacksonville. 2001-2004Pottery workshop at University of Florida, Gainesville, "Art Underground"
2001-2004 Created 36 three-dimensional drawing/painting assemblages: "Inventions" (based on J.S. 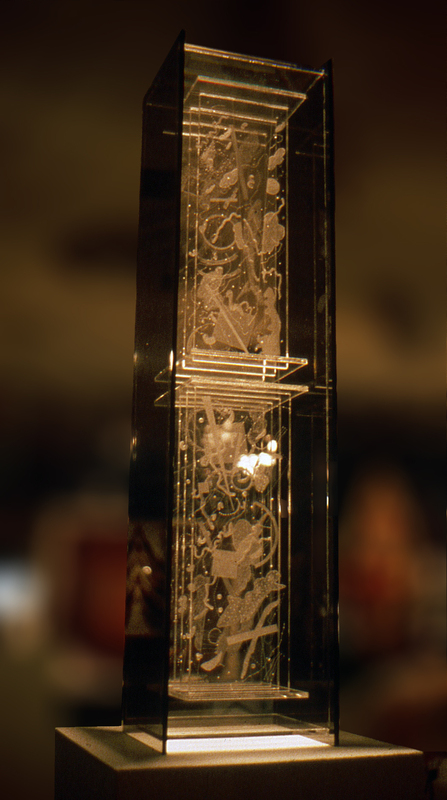 Bach'scompositions, "Two and Three Part Inventions"), using scrim, vellum, cut and folded, Rives BFK, pen and ink and paintings. 2005-2006 A series, "The Elements," paintings on canvas and collages of flotsam, sea debris, on a theme of environmental effects caused by a combination of natural forces and man's carelessness. 2008-2009A series of drawings and large gouaches influenced by the Still Life paintings of Chardin and Braque. 2011-2012 A series of collages, "Re-creations" and "Discontinuities" using torn, cut and recycled etchings, gouaches, drawings, acrylics. A series of 21 three-dimensional ink drawing maquettes using cut and bent mylar. 2016 "Because: Prose Poem and Portfolio of Drawings" Various media, accompanying The Artist's Statement in the form of prose poems. Boxed, 18" x 24"